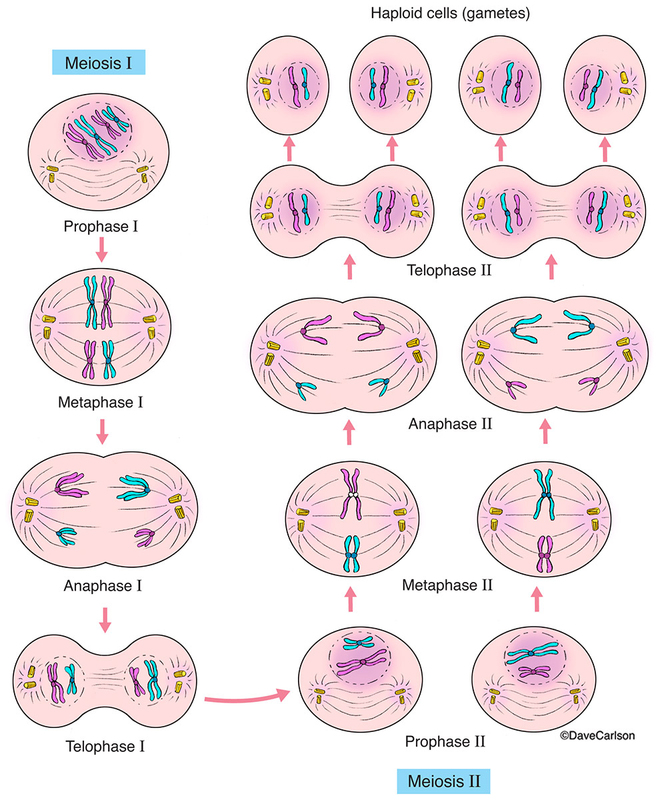 cells (sperm, egg), each having half the chromosomes of the parent cell. Through sexual reproduction, sperm and egg combine to create a genetically unique offspring. Image © copyright by Dave Carlson.